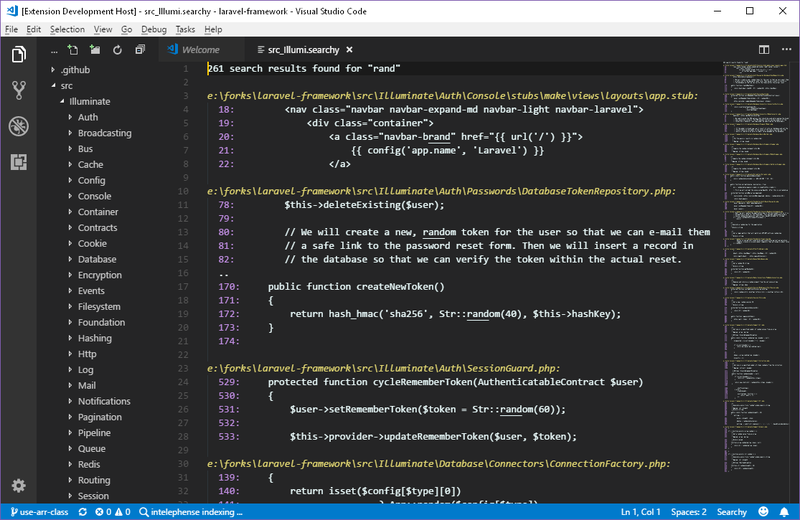 Visual Studio Code>Other>SublimeSearchNew to Visual Studio Code? Get it now. *sublsearch.search (SublSearch - Search) - Pop open a dialog to ask for search term, and open the results in a nice read only document. This uses ripgrep. +go+js+css^text - search with case sensivity only in *.go, *.js and *.css files. +go+js|text - search "text" only in *.go and *.js files. -go-js=|text - search "text" as whole word everywere except in *.go and *.js files.